Just a quick addition to my two previous posts regarding the Missouri Supreme Court’s decision declaring that caps on medical malpractice damages are unconstitutional: see the Post Dispatch’s editorial here. What Does the Missouri Supreme Court’s Decision on Caps Mean for Your Medical Malpractice Case? As reported here, the Missouri Supreme Court, in Watts v. Lester E. Cox Medical Centers declared that caps on medical malpractice cases are unconstitutional. So, if you have a medical malpractice case in Missouri, what does that mean for you? First, if your case involves a death, it is not clear whether the limitation on damages is still in effect in those cases. In April, 2012, the same Court upheld caps applied in a medical malpractice wrongful death case. That case, /Sanders v. Ahmed was actually decided based on the pre-2005 law on medical malpractice caps. However, that decision may be read as standing separate from the Watts decision. In short, whether caps apply in wrongful death medical malpractice cases is still an open question. Second, in cases involving injuries, but not death, the Watts decision is unequivocal. Caps on the amount of damages that a jury can award on cases that existed under the common law, such as medical malpractice claims for injuries, are unconstitutional. Without an amendment to the Missouri Constitution, legislation seeking to impose such limits will not be upheld. Third, for active cases, and cases yet to be filed, a Court cannot impose a limit on the damages awarded for non-economic injuries, such as pain and suffering. Under the law declared unconstitutional, the amount of those damages was limited to $350,000. While that may seem like a lot of money, in situations involving life long injury and disability, it is readily apparent that the limitation was crippling. Children injured a birth, who would deal with life-long disability, were not fully compensated. Now, that restriction is lifted. Fourth, if you have had a medical malpractice case resolved under the old law, whether it resulted in a judgment or a settlement, you won’t be able to go back and re-open those cases to achieve a bigger settlement or verdict. If the decision wasn’t appealed, then the case is final and you won’t be able to reopen it. Obviously, the actual monetary affect on a particular case is going to vary. If you have a current medical malpractice case you should consult with your attorney about the impact. If you believe that you or a loved one was injured as a result of medical malpractice and would like to discuss your case, please call 1-800-567-8176 for a consultation. 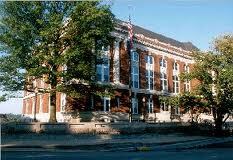 On July 31, 2012, the Missouri Supreme Court issued its opinion in the case of Watts v Lester E. Cox Medical Centers. In a well-reasoned and detailed opinion by Chief Justice Richard B. Teitleman, the Court found unconstitutional the legislatively imposed limitations on damages that a jury can award in medical malpractice case found in §538.210 of the Revised Statutes of Missouri. The law, passed as a component of sweeping changes to tort law in 2005, placed a limit of $350,000 on non-economic damages that could be awarded in a medical malpractice case. The Missouri Supreme Court found that the limitation infringed on a jury’s duty, under the Missouri Constitution, to determine the facts in a medical malpractice case. One of the facts that a jury is charged with determining is the amount of the damages. Because the Missouri Constitution declares that the right a jury shall remain inviolate, the Supreme Court looked to whether the right to a jury, as it existed at the time the Missouri Constitution was adopted, included the right to have a jury determine damages. The Court held that it did and, therefore, §538.220 infringed on that right and was, therefore, unconstitutional. The result is that a jury is not artificially limited in the amount of damages it can award. Of course, the jury’s judgment is still subject to review and revision by the Courts, both at the trial and appellate level. Either can chose to reduce an award based on the judicial power of remittitur.